Körner’s Folly in Kernersville, NC, built by Jule Körner, is listed on the National Register of Historic Places. It is known for its unusual architecture and decorations for Christmas. From O’Henry Magazine December 2018. “At Yuletide, Körner’s Folly quite literally shines. 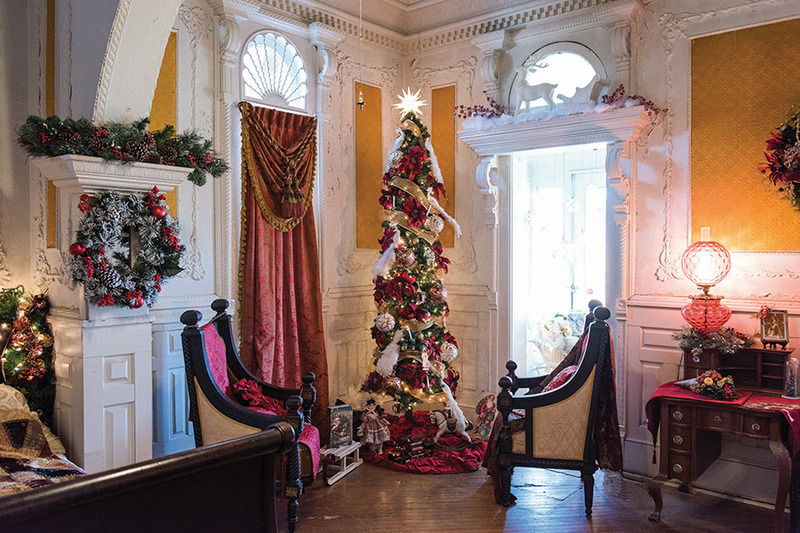 “If the house is over-the-top now,” says Pennington, “at Christmas it’s to the nines.” In late October local volunteer groups, each of which has “adopted” the Folly’s 22 rooms, start decking the halls, a process that continues through Thanksgiving, just in time for holiday tours. These, says Pennington, began about 15 years ago, but ramped up in the last decade. In the last five years, candlelight tours and additional puppet shows were thrown into the mix. The rest of the story is more interesting. Though known as a creative visionary with an irreverent sense of humor, there is another side to Jule Körner, evident in the cottage that stands behind Körner’s Folly, containing the site’s gift shop and administrative offices. Known as Aunt Dealy’s Cottage, it was the residence of Clara Körner, nursemaid and surrogate mother to Jule Körner, whose biological mother died when he was 2 years old. 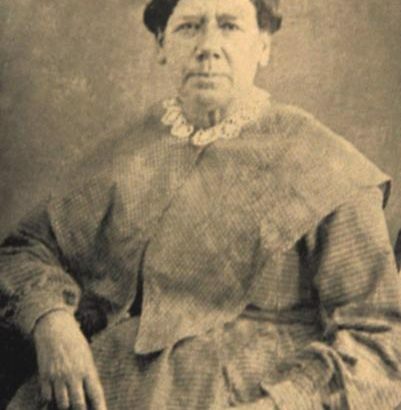 As a slave owned by a family in Salem, just down the road, Clara had been hired by the Körners to care for Jule and his siblings (who gave her the nickname “Dealy,” a variation of “Dearie”); the family later bought her freedom, but she chose to remain with them, drawing income from rental property in Winston that Jule’s father, Philip, had bequeathed to her. 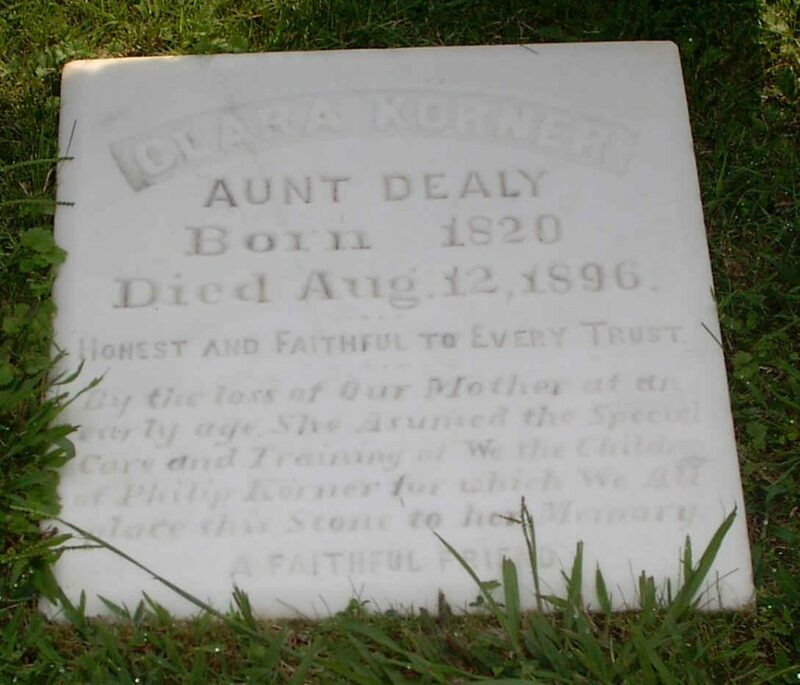 “For an African American in the mid-nineteenth century, Clara experienced many unique privileges. 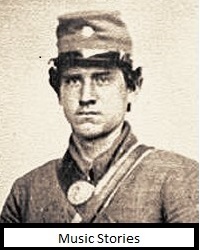 When Philip Körner passed on, he left Clara rental property and a tenant house in Winston, North Carolina. As a property owner, she earned money by renting the buildings. She also spun wool in her spare time, selling her product for profit.